Original Assets: No, from various marketplace packs. The Tree of Roots I created in speed tree, and the machine Veritus I created, but the textures were sourced in both cases. Description: Narrative/Campaign to stop a giant machine from destroying the village temple. WASD controls. Last edited by paradoc; 10-15-2015, 03:12 AM. I had a lot more I wanted to add to this game, but starting late (Monday) and only having time after work (~20 hours total) kept me from implementing them. There was going to be more before/after gameplay to play with the theme, both figuratively and literally. But alas I'll join sooner next time. I did not create my own assets with the exception of the giant hand and animation (MakeHuman custom model). However, the game mechanics and control were created completely from scratch for this jam. Note: Although this wasn't occurring in the UE4 editor, the packaged game may crash when you restart the level (press R). Please don't let this keep you from attempting to complete the goal! Description: The story behind the game is very simple: you are the defender of some very small folk that is being attacked by a giant and a random evil guy who controls it. To defeat the pack you have to build a tower of cute creatures and try to reach the giants shoulders to prove that you are able to take advantage of the progress already mad by others. To achieve the highest score try to adjust your minions as less as possible, thy do not like to get poked. Mouse wheel or Q/R: Select between minions in the tower, different difficulties let you select less or more minions. Less minions selectable minions results in a stabler tower and is easier to handle. 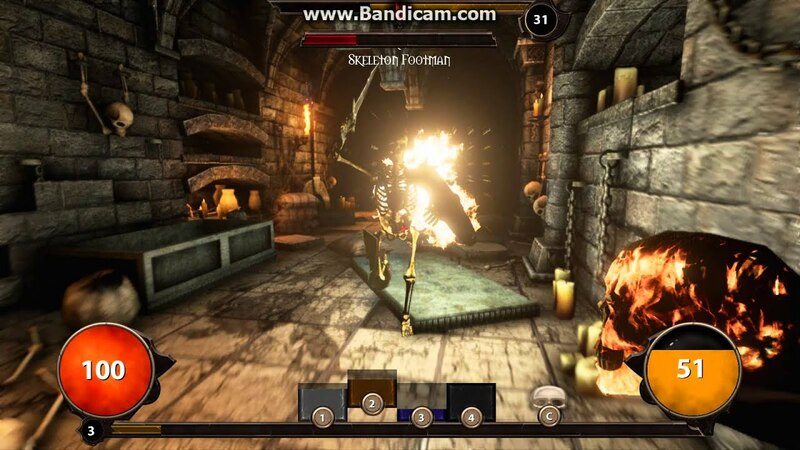 Try Unreal difficulty if you like ^^. Have fun playing! And let the tower fall! Description: Jonny the Giant Jumper! Collect as many golden eggs atop of the giant as you can, but beware the giant may try to slap you! This is our first Unreal Game Jam and our first time building a game in UE4. It was loads of fun and we learned a lot from this experiance. Good luck to everyone and I hope everyone had as much fun as we did participating in this months game jam! Did you make all your own assets: Yes except for our sound. WASD/Mouse/Space to do stuff or Gamepad to do stuff. Here are 2 links to some progress videos for a snipped of gameplay. Last edited by MathewW; 10-15-2015, 08:55 PM. Reason: Spelink?! Did you make all your assets? 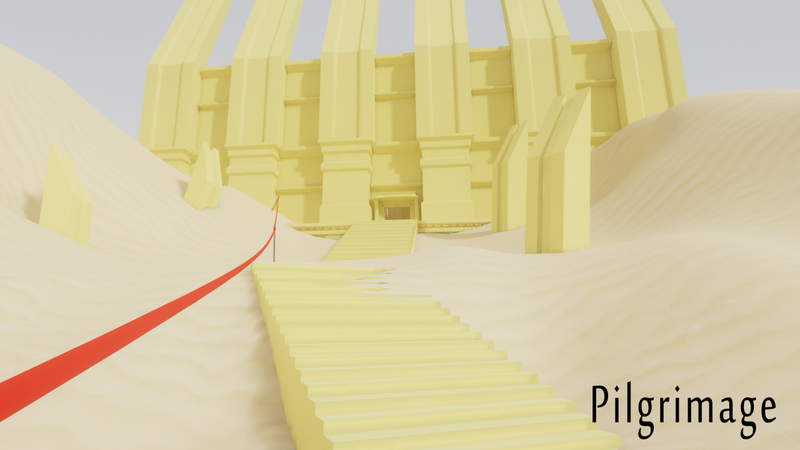 No, except minor edits to art assets suplied from UE4 Marketplace. All scripting is my own. Exploring your surroundings helps you learn about your environment. But when you combine your map with another, you gain their knowledge...like when a dwarf stands on the shoulders of a giant. Explore the cave, to learn the layout of your environment by using torches to light up surrounding tiles and stones to check if a move is safe. Avoid the pits as they will cost you your life, and your map. But don't worry, if you die you can recover your previous map from your last dwarf if you can remember the safe path to where he last was before he fell. 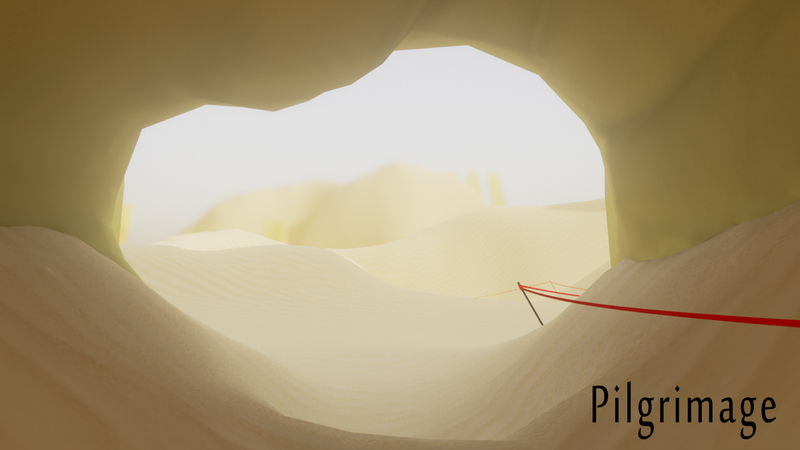 Explore over 90% of the cave to complete the game. Feel free to try again, as maps are randomized. Last edited by Hawk; 10-16-2015, 12:19 PM. Reason: Edited Goal text, and added side note about chance of unbeatable maps. Did you make all your own assets? (yes / no): No. Infinity Blade, Magic Sword Music, Starter Content, and one Filter Forge filter for a road asphalt base texture (I own a Professional license of Filter Forge). Otherwise, yes. "Jam Game" is a puzzle platformer. 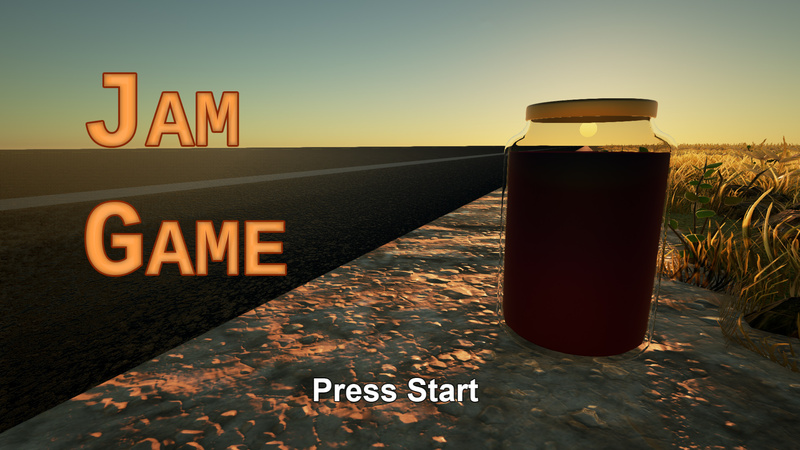 You play as an omnificent being that moves a jar of jam from each level's start point, to each level's end point. The goal is to control the jar's momentum, which builds as it hops. When you release the analog stick, on the other hand, the jar will stop on a dime the next time it lands. To succeed, you will need to know whether to apply force (forward, backward, or laterally) to achieve the required speed, or if you have too much velocity and stopping is the only option. Also, pay attention to the level layout. Some platforms might leave you stranded. You probably will not get the whole way through without restarting at least one level. Last edited by ScottMichaud; 10-15-2015, 11:23 AM. Last edited by intoxicat3; 10-16-2015, 05:58 AM. We spent 3 days at the beginning of the week trying to figure out what to do, based on the theme. 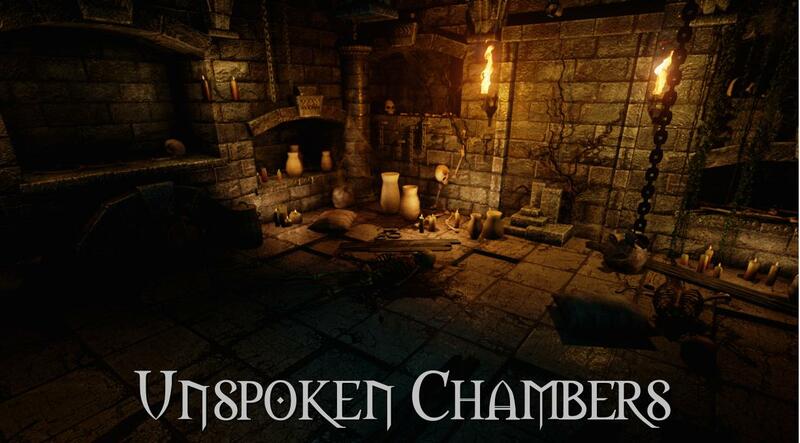 All our ideas were to ambitous for a small team of two people (1 unreal engine user and 1 sounds guy). 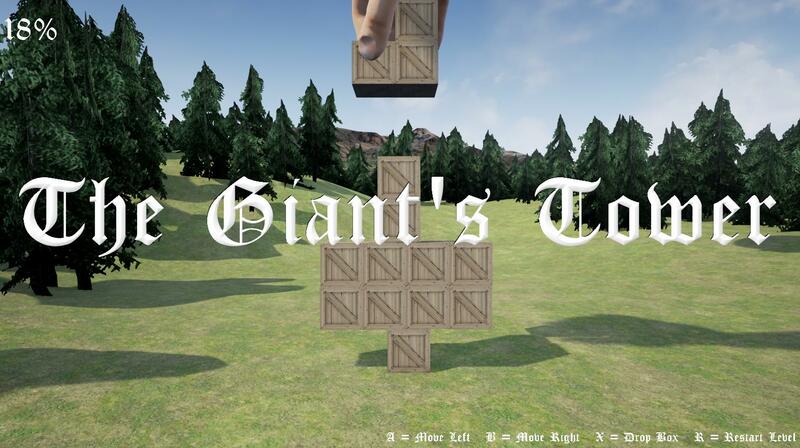 So we decided to make a simple game inspired by "giants" among games. We ended up developing a project inspired by Portal's test chambers. ( we used modified versions of the arms of the FirstPerson Template, the gun from the FirstPerson Template and the static mesh of the character in the ThirdPerson Template. Last edited by Keno; 10-15-2015, 06:07 AM. Game was made by 1 person (me! ), the sole member of Team Daelus. Submission is called Daelus_Pilgrimage I guess. P.s. Sorry about the voice acting. Turns out I'm not a great actor. Lessons learned for the future. Did you make all your own assets? : no, used Starter Content. One ship is never enough, help Nav-G and get rid of the virus inside a biological being. Can you succeed and kill 1000 of them? Last edited by Blue man; 10-15-2015, 06:48 AM. Last edited by ctzn_no7; 10-15-2015, 09:24 AM. Last edited by napolinkinpark3r; 10-15-2015, 07:06 AM. Changes made were basically changed the speed, normalized and cut some parts of the audio in some files. Other than that, all the models and animations were done by me using Blender and also MakeHuman to generate the giant. Last edited by sr_ogliari; 10-15-2015, 08:04 AM.